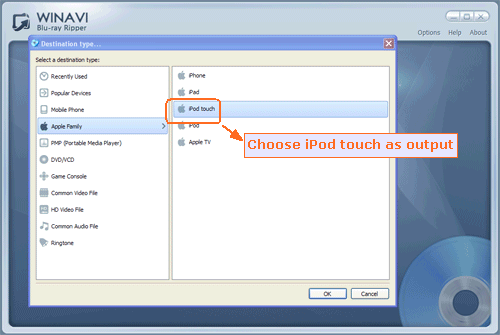 It is very easy to convert Bluray to iPod touch by WinAVI Blu-ray Ripper program, this program make you convert Bluray to iPod touch with only three steps in a high speed. And this article shows you the detailed steps for Bluray to iPod touch. Step 1: Free download WinAVI Blu-ray Ripper, launch this program. Step 2: Insert a Blu-ray disc. If Bluray file is on your computer, you can just drag them directly. 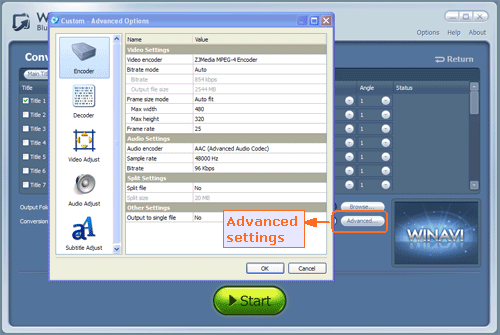 Step 3: After the disc is inserted, click "Convert from Blu-ray Drive ", then the program will import all the Bluray titles. 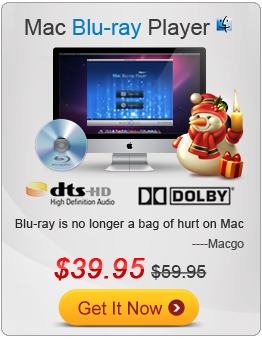 Also you can click "Convert from Blu-ray directory" or "Convert from Blu-ray Image File" button to load Bluray file. Then a small window will pop up and ask you to select the output format, here we choose "iPod touch" as output directly. Step 4: Click "Advanced " option to personalize your video of output on iPod touch. Step 5: Click "Start" to begin bluay to iPod touch conversion. You can click "Open the output directory" to check the converted file after Bluray to iPod touch conversion is complete.